We were super impressed when we met Marcello in 2016. He and his brother Roger had taken over the management of the Montanari owned farm. The two brothers are the fourth generation of farmers, and this is the one farm the family own. 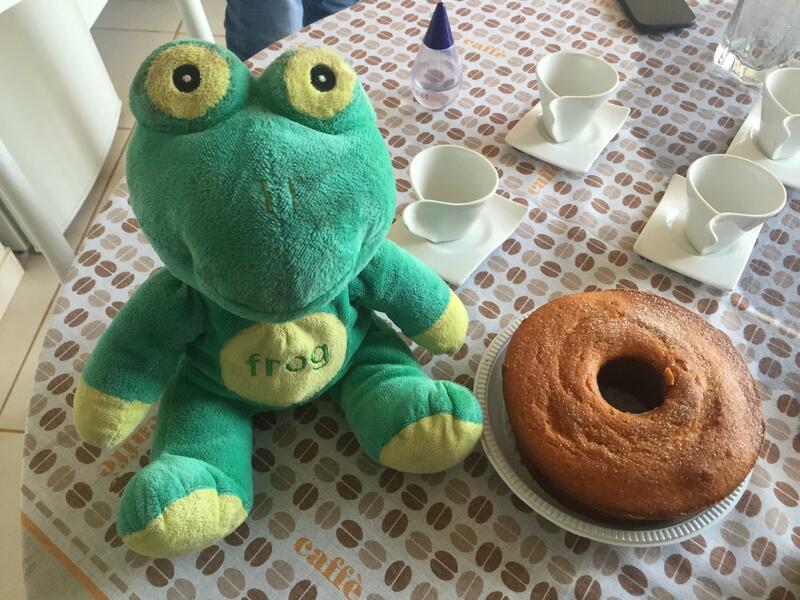 Fazenda Sao Paulo is located close to the town of Patrocinio in the heart of the Cerrado in Minas Gerais. The altitude is 950 to 1,100 masl. The farm is one of three owned by the family and the other two, Rainha de Paz and Montanari III, are located close by. 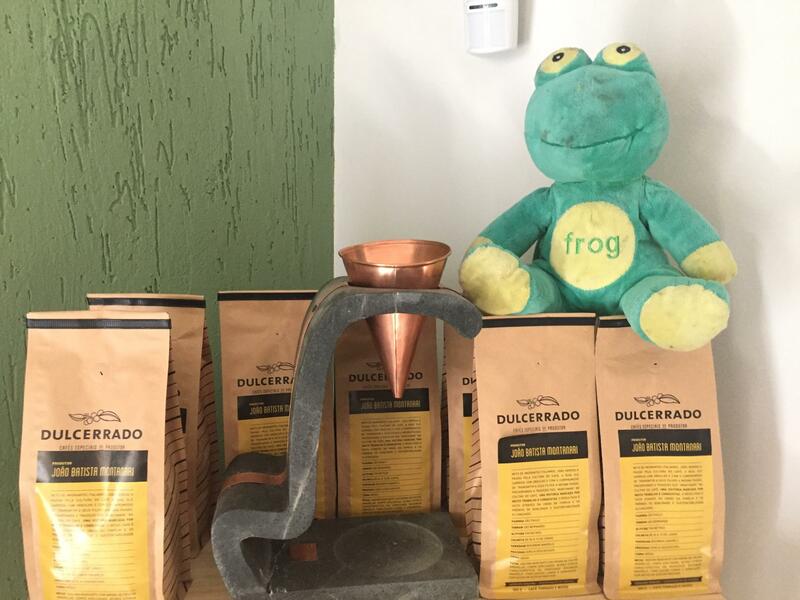 The brothers are pushing the boundaries of modern coffee farming in Brazil. Like many farms in the region, most of the tasks have been mechanised – in particular the harvesting and incredibly the three farms are run by just seven members of staff. 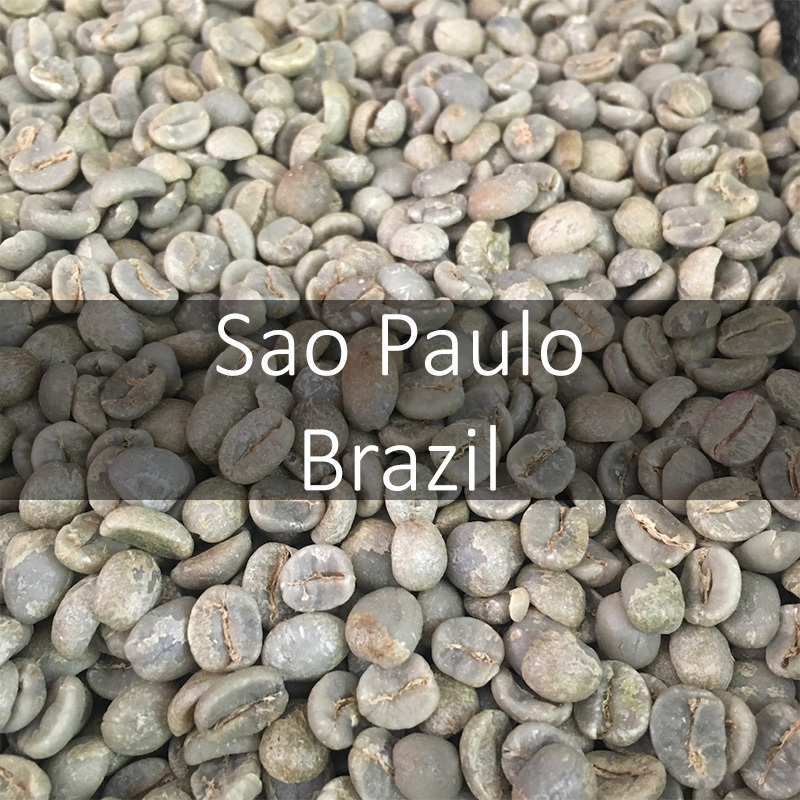 It’s astonishing to think that a farm of a similar size as Sao Paulo (70 hectares) in a country such as Nicaragua or Guatemala, would require more than 500 people to pick the coffee during the peak of harvest. 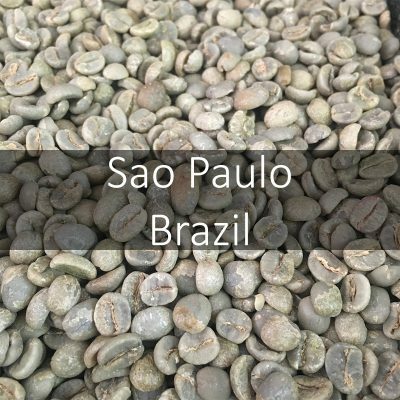 The flat lay of the land is seldom seen in other coffee producing countries and it is this factor that allows for mechanical harvesting. Neat ‘hedgerows’ of coffee are angled on the farm at 330 degrees from north. This is due to the fact that they have ascertained that this provides trees with the longest hours of sunlight. A test plot on the farm allows the family to grow new and different cultivars which can be studied for yield, resistance to disease and cup value. 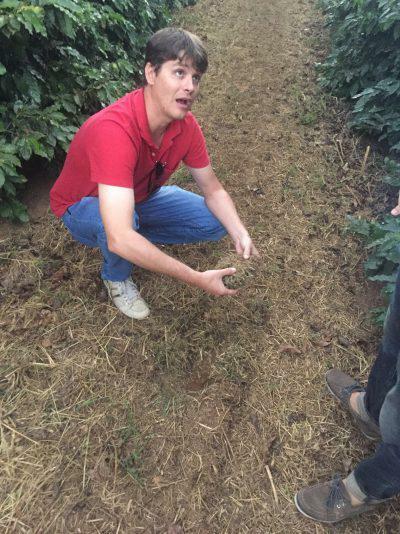 Marcello is an agricultural engineer so takes a keen interest in this area as he plans out the future of the farm. 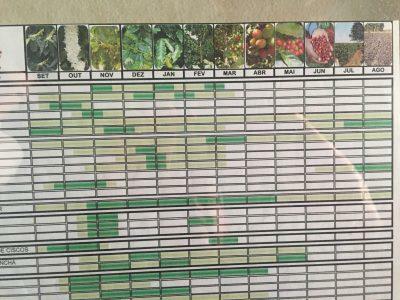 A range of cultivars will of course bring about different cup profiles and the same can be said of the processing techniques that are employed too. 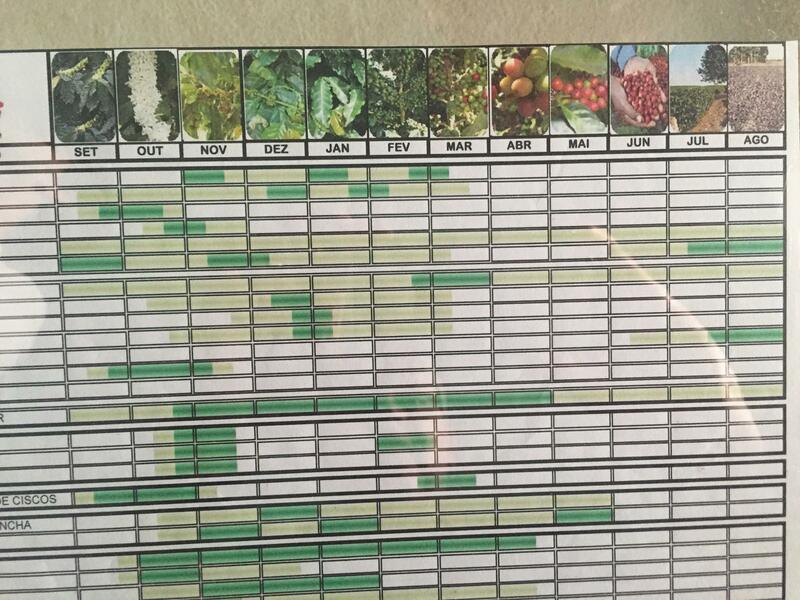 Currently 17 cultivars are grown across the farm. Allowing for ripening and harvesting to be be planned across a greater period of time. 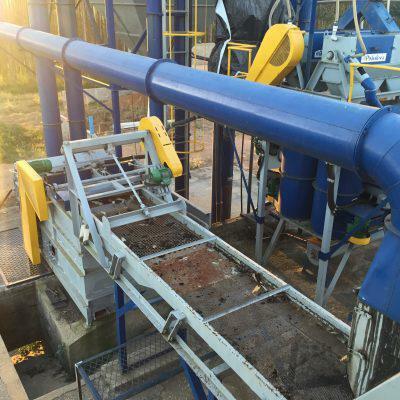 Hence avoiding bottlenecks at the processing areas and drying patios. 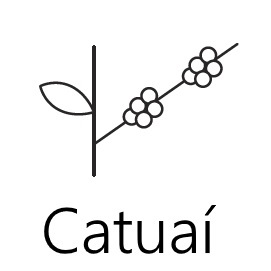 These include Mundo Novo, Topazio, Catuai, Rubi, Acaia and Yellow Bourbon. 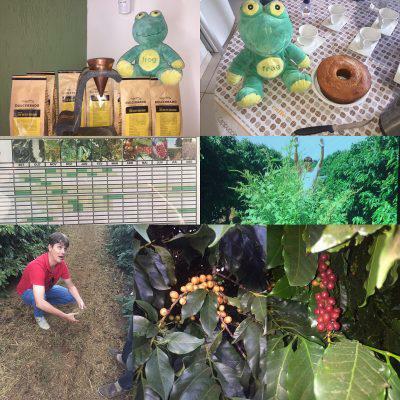 These coffees are processed separately and as such are cupped separately by Falcon Specialty. This lot of pulped natural Catuai has been picked and pulped to remove all mucilage. It is then immediately spread out on African style raised beds for air drying. The result is a cleaner cup than natural processed coffee. Producing bright notes and a lighter body while retaining greater complexity. 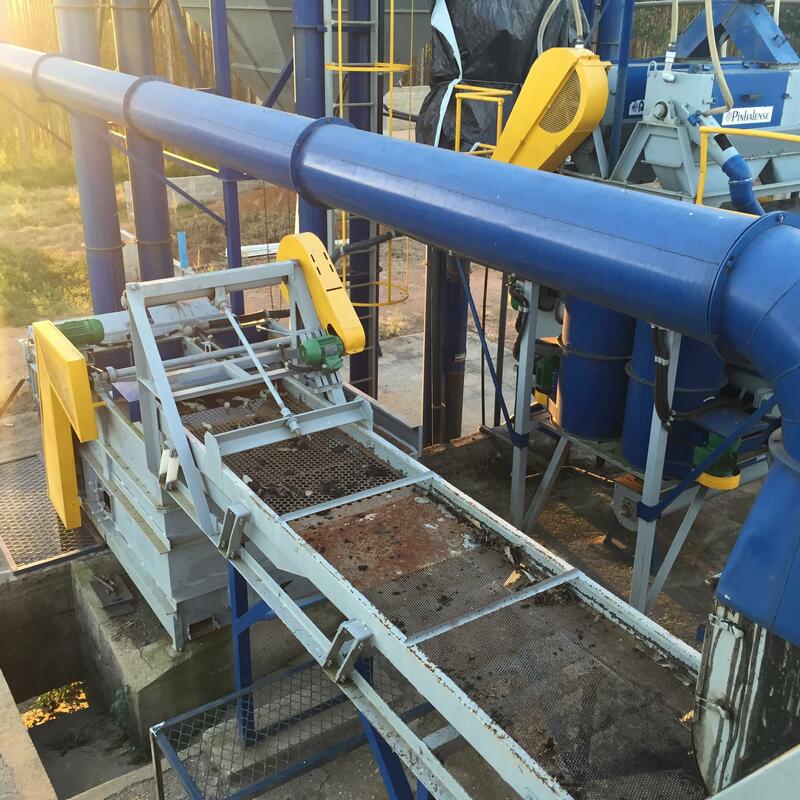 The new pulping system has been introduced to allows for a reduction in water by 75%. All processing takes place on the farm. Coffee is only hulled at the point of export. Thereafter it is packed into grain pro sacks to preserve flavour and freshness. Pulp natural, dried in sun on raised beds. A four star complexity coffee, with orange, cocoa and hazelnut. RFA and UTZ coffee. Fully Traceable coffee.